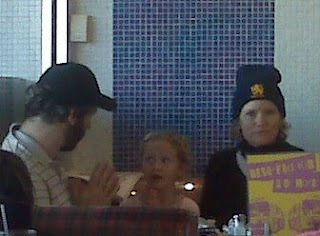 Judd Apatow, his wife Leslie Mann, and that gorgeous child from Knocked Up... I love Cali! Don't you get some sightings with all your visits to NYC?